Get to know your favorite YouTube stars—Ryan ToysReview, HobbyKidsTV, JillianTubeHD, and EvanTubeHD—in this hilarious, insightful, and cool look at their lives behind the camera. -And much, much more, including tips and advice from each of these stars on how to make your best videos! This full-color book includes an introduction by the one and only CaptainSparklez and comes with games, quizzes, and never-before-seen photographs of the stars and their families. It’s sure to be beloved by the YouTube-loving kid in your life. 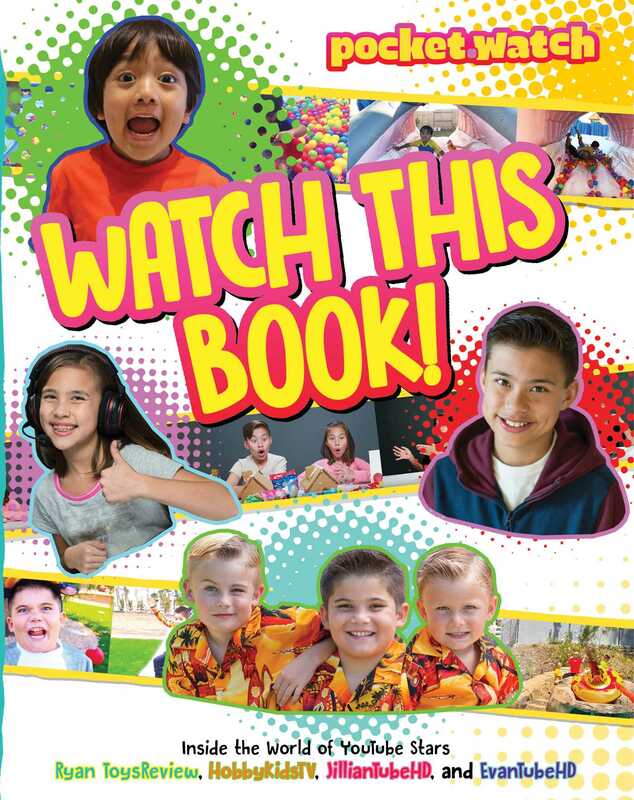 So, if you or someone you know wants to have tons of fun with your YouTube friends and their families—and over 20 million people already have with this all-star crew—it’s time to Watch This Book! © 2018 PocketWatch, Inc. All Rights Reserved. Book Cover Image (jpg): Watch This Book!